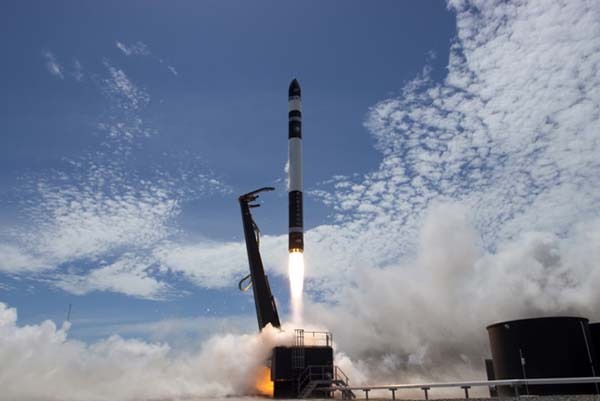 HUNTINGTON BEACH, Calif. — 10 July 2018 (Rocket Lab PR) — US orbital launch provider Rocket Lab has today confirmed plans to expand its launch capability by developing a US launch site, with four US space ports shortlisted to launch the Electron rocket. At 1.2m X 12m stage one and and the much smaller stage two would fit in most shipping containers. Opening up any inter-modal shipping option. Not only that, but the lower cargo holds of most wide body airliners could also accommodate an Electron if shipped with stage 1 and 2 crated. It would fit thru the cargo doors no problem and aircraft like the 777 have long enough cargo holds. Not to mention the air freighters flown by the likes of Atlas and Cargo Lux, Lufthansa, and FedEx, their cargo services could easily ship an Electron anywhere. I’m surprised by the such variety of candidacies, considering what orbits they serve. Do RL not know what they want? Why mix Kodiak and Cape in one proposal? Perhaps the “search” is a way to take attention away from their multi-scrub of launch #3 for apparently the same technical reason as April’s scrub. Does launching from the cape give them a bigger payload potential?